Bella's Beauty Spot: Lush 2014 Easter! There are a ton of things I love about Easter. 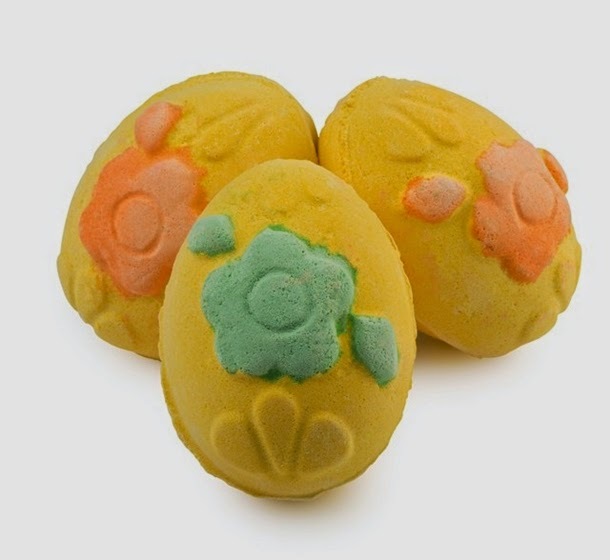 I love getting the kids Easter baskets, decorating eggs, but I also love Lush and all the fabulous holiday collections, especially Easter. This year is no exception. I haven't purchased anything yet, but hopefully I will pick up a couple things before Easter hits. Here is what's on the menu this year at Lush. How cute is this? I totally want this fruit smelling, (go figure right?) 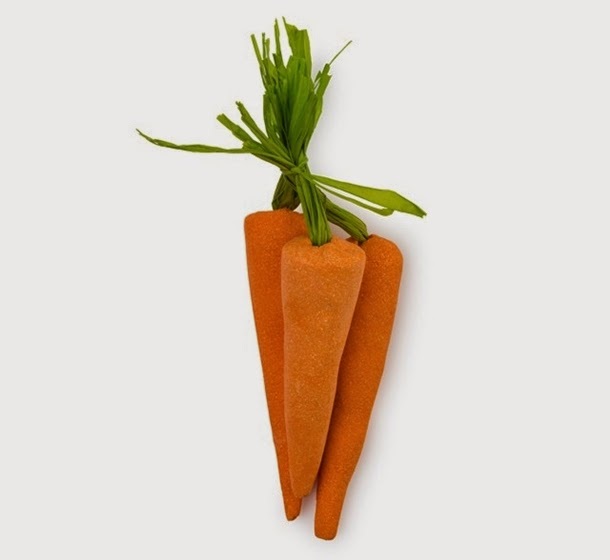 carrot! 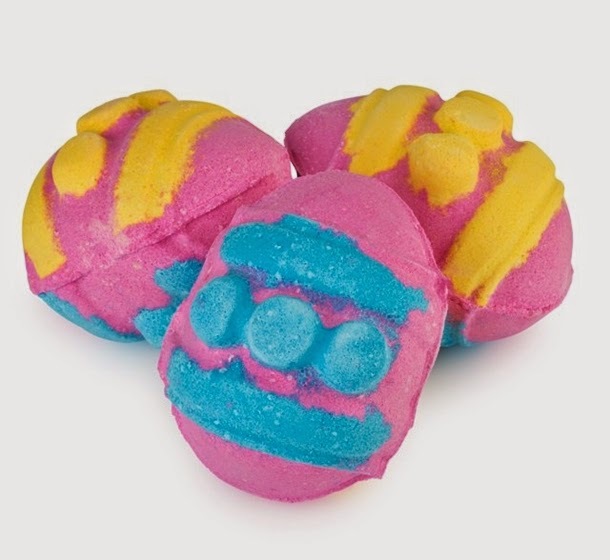 Hop into the tub this Easter with the best-smelling 'vegetable' you'll ever enjoy. 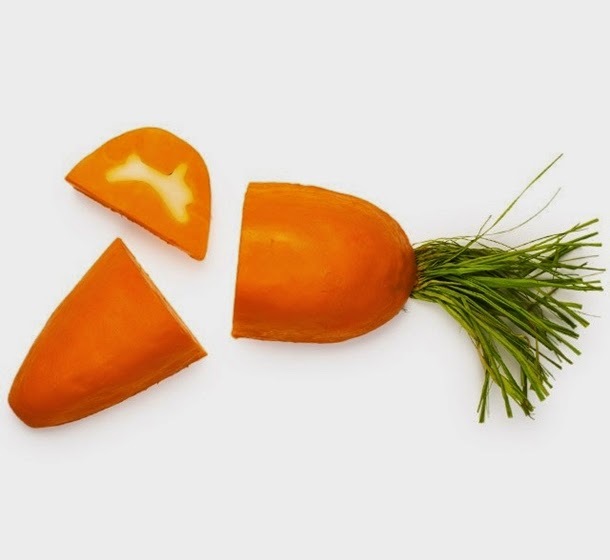 These bubbly carrots may not improve your eyesight, but they will fill your bath with piles of rich, frothy lemon and bergamot-scented foam. Simply grab one of the carrots by its green top and hold it under the running tap to fill your tub with bubbly goodness, then set it aside for next time. Each carrot will create several bubbly baths, so you’ll get loads of bathing bliss out of this bunch! A pretty pink, sugary sweet, candy-scented bath bomb. A bath melt and bomb all rolled into one that smells like Honey I Washed the Kids and kinda resembles something you’d pick up at the Wonka Factory too! The outer layer is rolled in a gorgeous skin softening bath melt where as the inner has all the makings of a fizzy bath bomb. It’ll create a luxurious fizzing bath of honey-toffee fragranced water and a bit of glitzy gold will decorate your bath as you bathe. 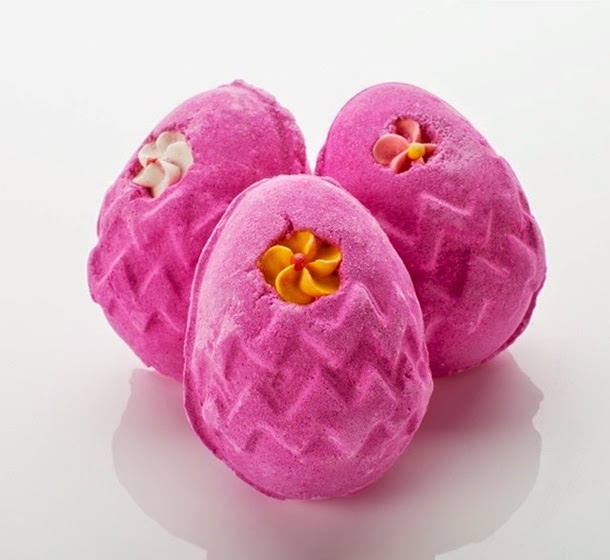 Break up this bubble bar into your tub and allow it to create Sicillian mandarin, bergamot and tangerine scented bubbles! Currently sold out I'm really wanting these. They make you look like a golden sparkly goddess as soon as you pop out of the tub. 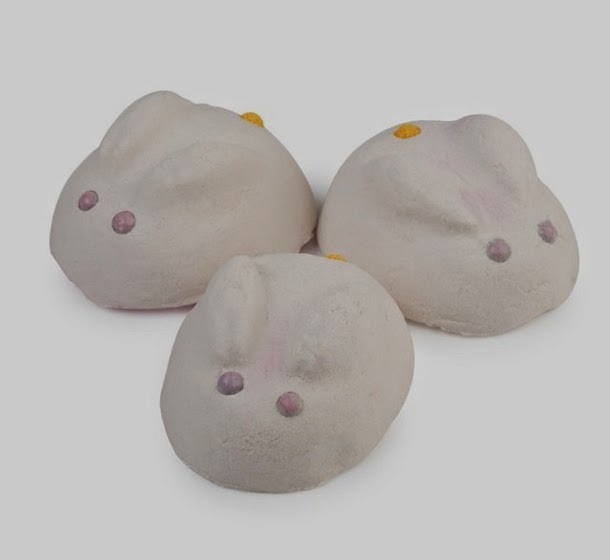 All of Lush's Easter Collection is now available at LushUSA.com Actually I lied, they aren't all available. 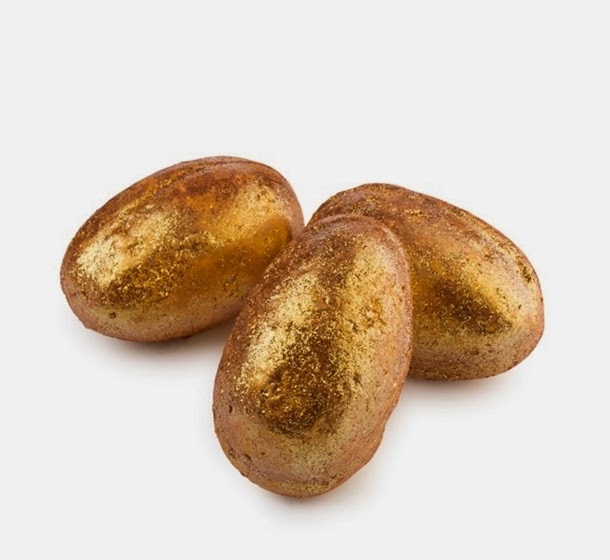 The golden eggs are sold out, but I'm hoping they come back before Easter is over.